Picturing Disney: For the Love of Frozen by e.l.f. 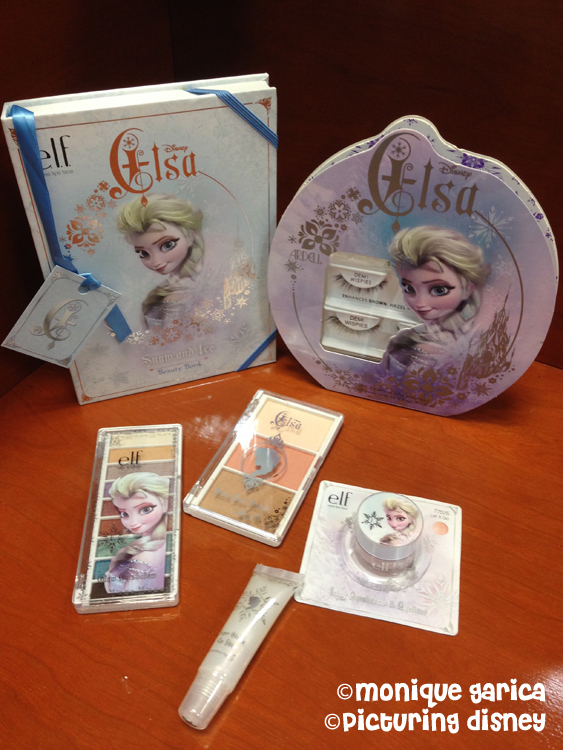 When I got news from Disney Consumer Products that we would be receiving samples of e.l.f. 's Frozen collection, I was stoked. I absolutely love the quality of e.l.f. makeup. For those of you who are unfamiliar with the company e.l.f. Cosmetics, the acronym stands for eyes, lips, and face. They believe that "beauty comes from within all of us." Their products are meant to "let your inner beauty shine through" without sacrificing our budget. Their line includes great makeup products and tools that will help you apply their makeup without the hassle. 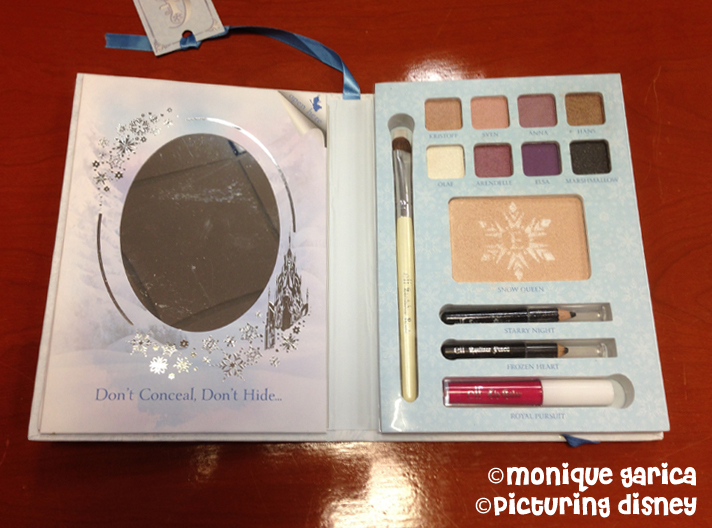 My favorite product from the collection is the Icicle Face Palette. This palette contains the perfect shades of bronzer, blush and highlighter for my skin tone. Its hard to find a bronzer and blush that won' t make me look like I'm ready for a performance. This collection actually enhances my natural beauty. 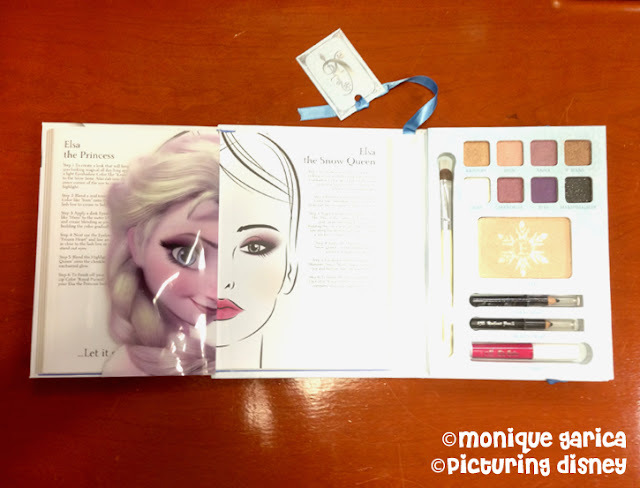 The Snow and Ice Beauty book shows details how to capture either a day or night version of Elsa's look. I decided to be a test model and try out the "Elsa the Princess" daytime look. The lip color Royal Pursuit definitely gives my lips the royal treatment. To find out more about e.l.f. Cosmetics and their products click this link. 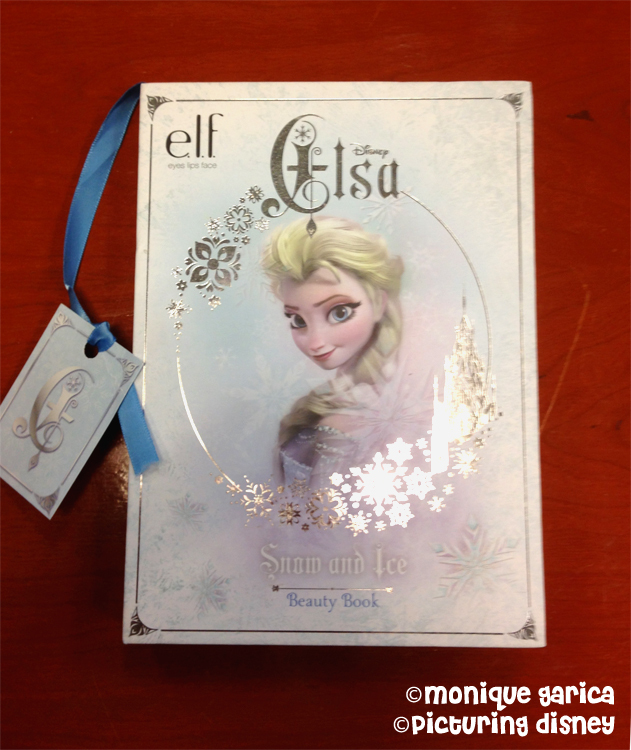 Have you used one of the products from e.l.f.? Which is your favorite? I adore their Villain and Princess themed collections (of which I also own and love....especially the Princess Jasmine pencil eyeliners).